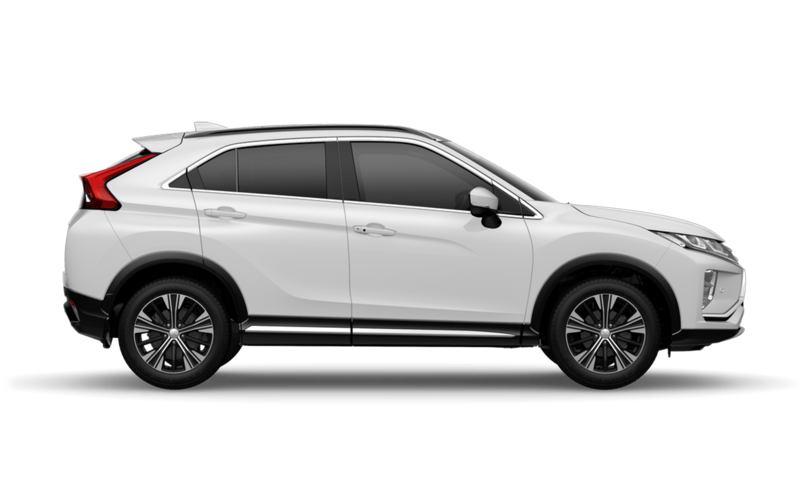 Mitsubishi’s striking new Eclipse Cross is the first of a new generation of Mitsubishi SUVs that are designed and built to impress, inside and out. From its sharp, dynamic body lines and sophisticated interior, to its turbo-charged petrol engine and precise handling, this is a vehicle that impresses every time you get behind the wheel. There’s no reason why driving can’t be a creative experience. Equally, no rules confine the SUV to traditional design. Eclipse Cross is a vehicle you immediately notice. Sharp, distinctive contours and bold lines rake the exterior. Sunlight flames off the chrome blades and Brilliant Red paintwork. The tail lights cut through the night like a neon beam. The strong design continues through the cabin, where elegant surfaces and ergonomic function merge. 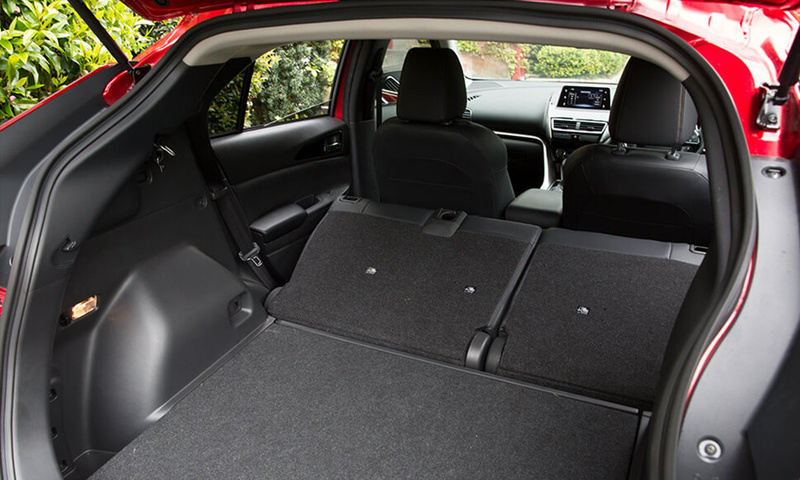 Anything you ask of Eclipse Cross, it delivers. The SUV versatility means you can work, exercise, enjoy the night in style and explore the country with ease. Because performance and efficiency matter as well, the new 1.5L MIVEC turbo petrol engine provides plenty of both. Despite its compact size, the engine produces 112kW of power and 254Nm of torque. The view has never been so spectacular as it floods in through the Dual Sunroof on VRX. 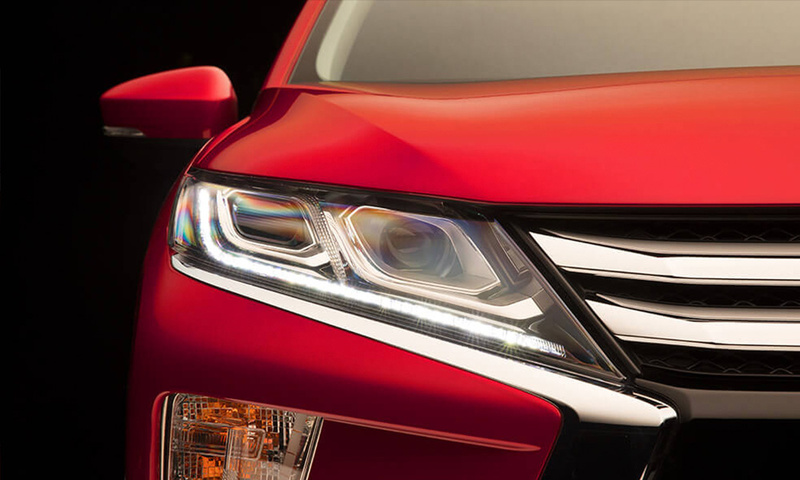 Sharp and powerful headlights are augmented by stylish integrated LED Daytime Running Lamps and Automatic High Beam. 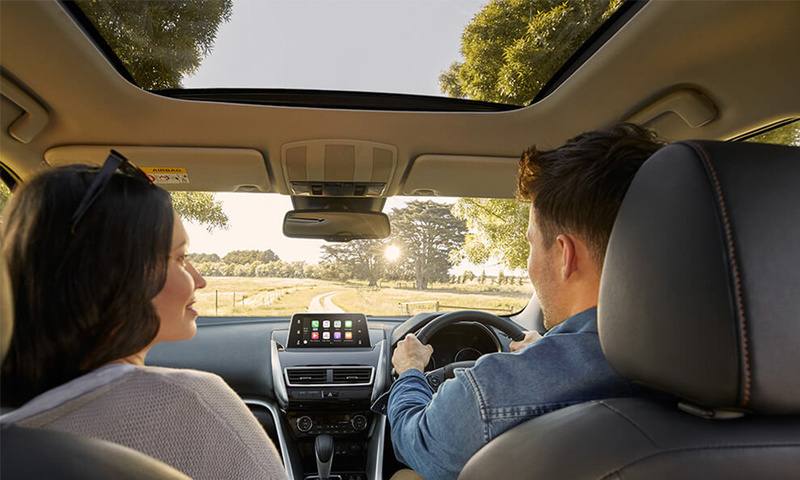 The stylish dual panoramic sunroofs bring the outside in. The front section opens like a traditional sunroof, while front and rear sun blinds can be opened or closed. 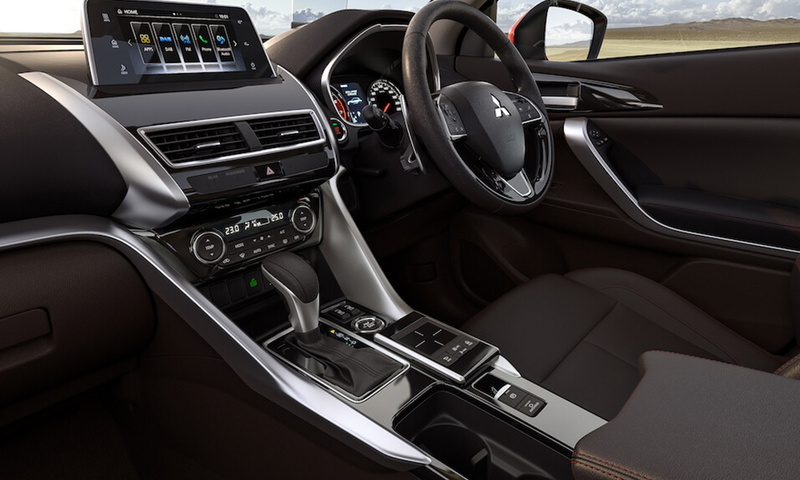 Eclipse Cross is the hub for a suite of technologies that give you complete control of your drive and entertainment. All your key smartphone functions are incorporated: music, maps, messages and more. For safety and more intuitive use, you can use the Touch Pad Commander and voice command. On VRX, the Head-Up Display puts information in your line of sight, while the vehicle itself uses laser and camera systems to watch for and respond to danger all around you. 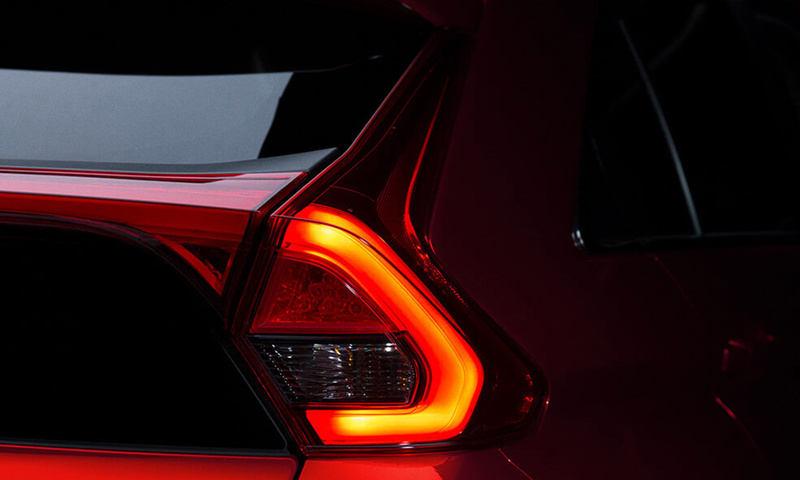 The moment you start moving, Eclipse Cross starts monitoring your surroundings. 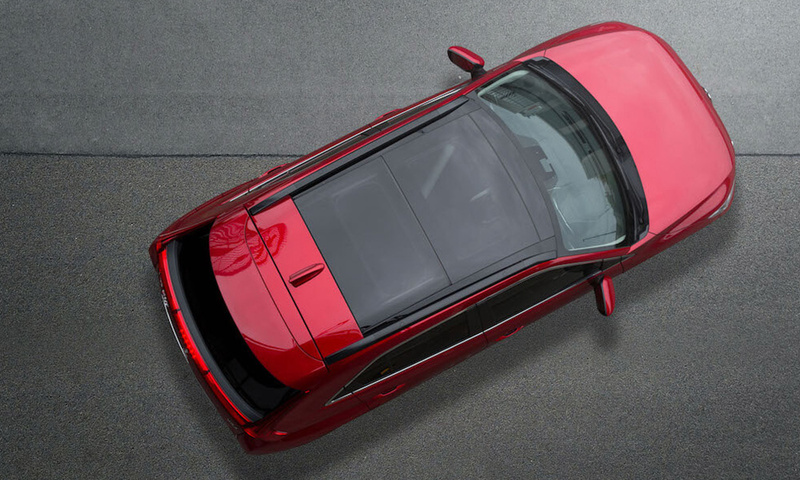 If you drift from your lane or if a car is in your blind spot, Eclipse Cross VRX warns you. If the road conditions suddenly change, active intelligent traction and stability systems restore you to a safe course. If needed, 7 airbags and a high-tensile frame protect you from harm. If the vehicle ahead changes its speed, Adaptive Cruise Control on VRX instantly adjusts yours to match. Eclipse Cross is appointed with intuitive, intelligent features that deliver connectivity, safety and a drive you’ve never experienced in an SUV. Challenges arise when you least expect them. Whether navigating winding roads or snowy conditions, the Super All Wheel Control (S-AWC) system supplies optimal torque to rear wheels for enhanced vehicle dynamics, stability and control. S-AWC intexgrates with Mitsubishi’s Active Yaw Control (AYC), which uses braking to optimally distribute torque to the left and right wheels. Even if you unintentionally brake or accelerate too hard around a snow-covered turn, you can maintain control without extra steering effort. You can choose the AUTO, SNOW or GRAVEL drive mode depending on road conditions to enhance accuracy, straight-line stability and maneuverability on slippery roads. Optimized for fuel efficiency and turbo-charged for performance. The newly developed MIVEC engine puts instant acceleration at your command. Developing an impressive 110kW of power and 250Nm of torque for highly responsive performance.